Creamy, smooth, healthy, refreshing, interesting, delicious. Place the blueberries in a medium sauce pan over medium heat along with 2 tablespoons of water, the lemon zest, and honey. Heat until the blueberries until simmering for approximately 2 minutes. Allow the mixture to cool slightly, and then add the yogurt and olive oil, whisking until blended. 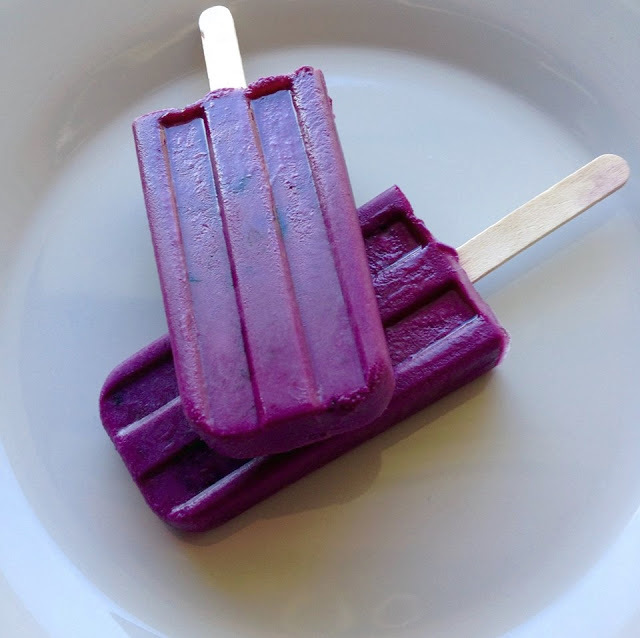 When the mixture is at room temperature, portion into 12 popsicle (or paleta) molds and freeze.